What are the rules about posting? Be considerate of your audience. No cursing or vulgarity. No misogyny or racism. Your post will be read hundreds or thousands of times by various people from many cultures and backgrounds found all over the world. Use your head. Credit your sources. If you quote a document, use someone else’s image, or reference another blog, link to it. Understand the “duplicate posting” issue. Google clusters rankings for duplicated pages. Read and watch more about the duplicate posting issue here. We’re not saying you can’t post the same thing in two places (like PacketPushers.net and your own blog), but understand how Google search results are impacted so that you aren’t surprised. Don’t abuse the Packet Pushers community blog by using it simply to promote your blog. Don’t create a teaser article that’s primarily a link over to content you posted somewhere else. Remember, you can link to your blog in your bio. Don’t use the Packet Pushers community blog to promote your company. We will remove any content that features marketing links or attempts to drive lead generation. Packet Pushers offers sponsorship opportunities if you’d like to tell the world about your product or service. Rant respectfully. While it’s fine to criticize a vendor or product, it’s not fine just to “go off” irrationally. That said, don’t feel censored. The Packet Pushers are a vendor independent voice — all we ask is that you stay balanced and constructive. Do not promote illegal or unethical activity. For example, don’t explain how to steal software license keys or cheat on a certification exam. Braindumps & warez are absolutely out of bounds. Do not break non-disclosure agreements or embargoes. If it’s NDA material, don’t publish it. If the news is under embargo, do not publish until the embargo date has passed. Your content remains yours. The Packet Pushers do not reserve any rights to your content. What you write is your own intellectual property. We will remove or allow you to edit any post you wrote at your request. At our discretion, we will delete your account and/or take down any content we feel is inappropriate. What should I do during my first login? Twitter handle & connection to your Twitter account (for automated tweeting of your posts). Follow the instructions in your user profile. Your bio is a short description of yourself so that readers know a little bit about you. Plug your Twitter handle, Google Plus name, or your own blog to help build your social network. You can embed HTML tags. About Ethan Banks. Ethan is a network engineer, blogger, and CCIE #20655. He’s also a host on Packet Pushers, an independent podcast covering the data networking industry. Find his original content at PacketPushers.net, and check Google Plus or Twitter for social networking. How do I make my avatar appear next to my posts? Author avatars are provided via gravatar.com. You need to build an account at gravatar.com and upload your headshot. When an e-mail address attached to your Gravatar and Packet Pushers accounts match, your headshot will be displayed automatically. How do I make my bio appear below my posts? Drew needs to check the right boxes once you’ve written the bio so that it appears. Let him know when you’re ready. How does my content get posted? Packet Pushers bloggers are granted author permissions. You publish your own article when you’re happy with it. Compose your article on your local workstation, then paste it into the PacketPushers.net editing window. Always keep a local copy of your article, just in case the Internet or our provider has a problem. If editing your article on the site itself, save it as a draft periodically. 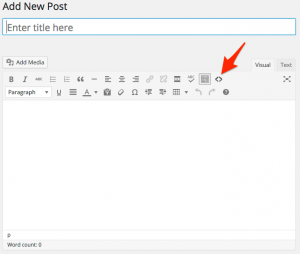 Select “Blog” as the main category, and then one or two more subcategories. The “blog” category is the most important – that makes your post appear on the front page in the right place, and hit the right RSS feeds. Click the preview button and read your article through before publishing. Getting a different view of your article will reveal typos and other issues your brain filtered out previously. When you’re done creating your article, publish it. You’ve been added to a mailing list. There won’t be many messages. We use it to broadcast once in a while to the blogging community. Your headline must not exceed 120 characters. Shorter is better. Google will index your content more accurately, which improves search engine results. We will promote your content, but you should, too. Don’t be shy. People need to know about your piece before they will read it. Monitor your comments. Engaging your readers is a great way to build community, so try to keep up with what people are saying. Answer questions and converse with those who have different views. Don’t use two spaces at the end of a sentence. Use one instead. A single space after sentences results in better formatting. Preformatted text doesn’t wrap. Preformatted text is what some folks use to display code or router output with a fixed-width font. Use “preview” to make sure your preformatted text doesn’t get cut off at the column boundary. Wrap your text manually if needed. Instead of preformatted text, try the Crayon Syntax Highlighter plugin for configurations or other code.